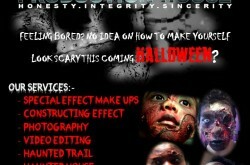 We are a bunch of guys setting up a company dealing with mostly Special Effects Makeups. 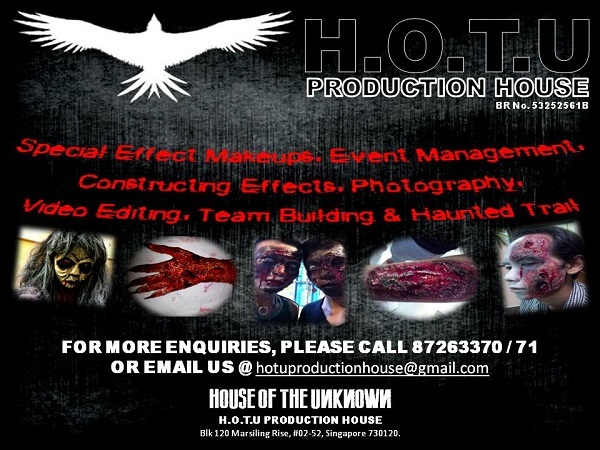 As part of our passion for arts of a different kind, we love to create what you usually see in horror movies, scary ghost-effects makeups, but, those aint the same like what we do. The ability that our artists have, seeing the UNKNOWN, is visualised through our makeups. So what you see we have done, is what some might have encountered from the UNKNOWN. 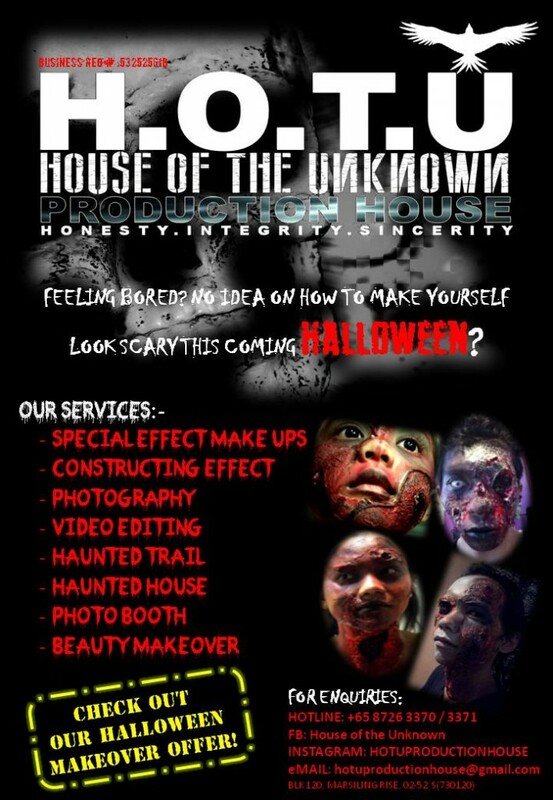 Apart from that, organising and creating Haunted Trail or Haunted House is what we love to do, and do it differently… so watch out for the upcoming event! 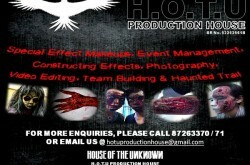 If you would like to engage us to do something different for your events, we would love to hear from you !